Load span tables can be difficult to interpret, but Stressline’s technical team are on hand to help. We often assume that the load span tables featured in our lintel guide are easy to understand, which for those with knowledge; probably are. However, for anyone starting out in the industry, getting to grips with interpreting the load spans for prestressed concrete lintels and steel lintels is not always straight forward. This post examines the load span tables featured for both concrete and steel lintels and will demonstrate how you should interpret the values within them. This post is not going to help you with the calculations to arrive at what loads you need the lintel to bear – that is for another blog post. The first point we need to make is that the load span tables in this post are based on our own products. 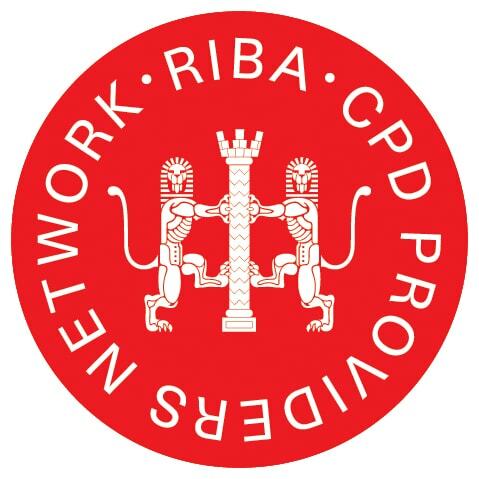 These products are CE marked, and in order to obtain this accreditation, lintels are subject to the most stringent tests under the Construction Products Regulation (CPR). This means they are independently tested. The values in our own tables have been independently verified by a third party. We now have a lintel load span table quick reference guide available, which you can view online, or you can download for free as a PDF. Once you have finished reading this, why not download the guide for future reference. We will look at the load span tables for two steel lintel products at either end of the ‘strength’ spectrum. Initially we will make sure we know what values are included in the table. Standard Lengths – This is pretty self-explanatory, and simply means the length of the lintel. As standard our steel lintels increase in length by 150mm, the two values represent the length of the lintel that the values in that column relate to. If it is 600 | 1200 it means the load span details can be applied to any lintel between 600mm and 1200mm. Nominal height – The height of the lintel in mm. Weights – The weight of the lintel in kg per metre. SWL – This means Safe Working Load, but can also be referred to as Serviceable Working Load. This value is the load in kiloNewtons (kN) and simply means the load that this particular lintel can safely bear. RM – This means Resistance Moment. RM is quite difficult to explain, and quite frankly is best described by a qualified engineer. In very simple layperson terms it is the force (as measured by kiloNewtons metre; kNm) at which point the lintel breaks. You can find out more about resistance moment here. If you have a question, then you can email us directly. At the bottom of this page is a quick ‘ask a question’ section, just fill out your name and email (it won’t be shared) and drop your question in the box… easy. 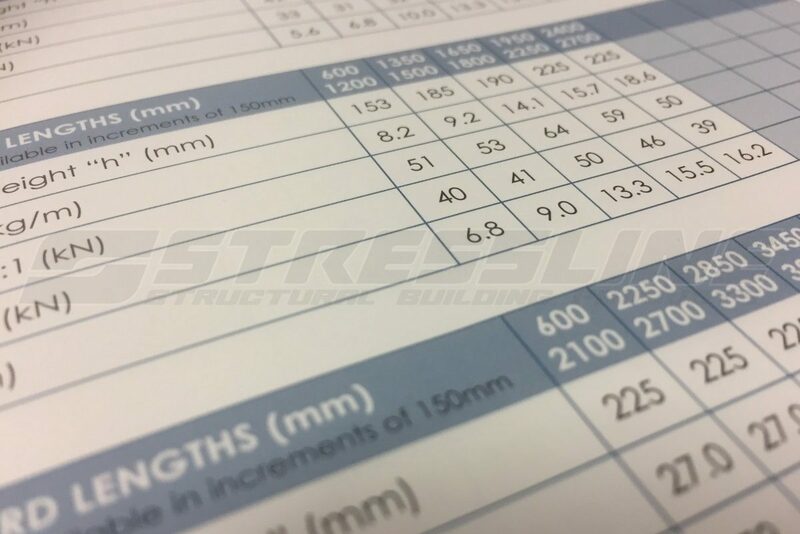 Understanding the load ratios is vital to gaining an appreciation of lintel selection. The SWL values in our load span tables are often subject to load ratios. These ratios represent the ratio of load that the lintel can bear as inner leaf to outer leaf. The ratios are different for the different applications. How these ratios are applied will be demonstrated in the examples below. This first load span table is for a standard 50mm cavity lintel. The second table is for a 50mm composite extra heavy duty (CXHD) lintel. Let’s assume you need a 900mm lintel, you would look at the details of the first column of each of the two tables. A 900mm SL50 has a height of 95mm, and weighs 6.2kg per metre. Looking at SWL figures you can see that if your floor load is a 1:1 ratio (so the same weight is applied on both the inner leaf and outer leaf, then this SL50 at 900mm can take a load of 8kN on each leaf. If you needed your lintel for an eaves application, then you would use the 19:1 ratio, which means this lintel would take an inner leaf load of 11.4 kN and an outer leaf load of 0.6 kN (rounding up). In reality; this is probably not the best lintel for the job. Looking at the CXHD lintel, you can see the SWL for 19:1 is 75 which equates to approximately 71kN on the inner leaf and 4kN on the outer leaf. This level is used for extreme loads. Like I said at the start of the post, the calculations for working out what your load will be is for another post, but once you know this (and the other factors affecting lintel selection) then you will be able to quickly see which sort of lintel you need to use for the job. The load span tables for prestressed concrete lintels are very similar to the steel lintel tables with the exception of two values. UDL means uniformly distributed load which is measured in kiloNewtons per metre (kN/m). The principle is the same however; the higher the value, the better the load bearing capabilities on the lintel. Note: Do not confuse kNm with kN/m. kNm is a force measurement kiloNewtons times metres, kN/m is kiloNewtons per metre (or divided by metre). Clear span is very simply the length of the opening. If you have a clear span of 1200mm, you will need a 1500mm length lintel to accommodate the required 150mm span on each side of the opening. The R15 is a popular concrete product; here you can see the load table values up to a length of 1800mm. *This UDL value is restricted by shear, which means the UDL would be higher were it not for the shear force which would snap the lintel first. Hopefully, this will have provided a simple introduction to lintel load spans and what the values in the load span tables mean. However, if you have any questions about lintel selection, load span calculations or lintel specification, our technical team are more than happy to assist. Contact them at technical@stressline.net. Thank you for raising this query. I have emailed our technical department who will be in a better position to assist you. Thank you. Hi , is the bearing still 150 each side for a span of 4200 or does it go up to 200 ? What is the strength of concrete used in prestressed lintels. Can you say what the permissible shear stress is in the lintel. I am considering a point load near the support. 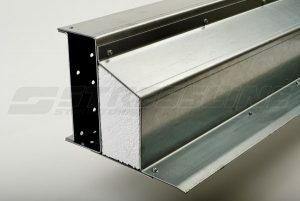 Hi what size lintel do I require to fit into a ground floor wall opening of 2600mm. The wall dimensions are: outer wall 100mm, cavity 85mm, inner breeze Block wall 115mm. The first floor joists run parallel with the external wall therefore will not sit on the proposed lintel. A 1200mm x 1200mm window opening is directly above the proposed wall opening. The pitched roof trusses sit on the inner cavity wall in the roof space. (Not sure if this information is relevant). I’m looking at a SL70 HD lintel 300mm in length. Hi Brent, thanks for the message. Will should have emailed you, so please correspond with him with any further queries. Thanks for your question. Yes, is the answer a 2100 lintel would work as you need 150mm bearing either side. If you need any further assistance please let us know or feel free to download our brochure. I have an internal spinal wall in a Victorian house supporting floor above and first story wall (no roof support). Span of lintel to be 2.4 metres. Single skin brick (140mm). Which size and type of lintel will I need? Thanks for the comment. I have forwarded to our technical team. Best wishes. Thanks for your comment – I will send on to our technical team who should be able to advise – thanks. I am seeking advice on what size I beam I would require for an opening of 3550mm? I am looking to remove a load bearing wall 100mm wide with a height of 2300mm to the underside of the joists between the dinning Room and kitchen. Above this wall I have a studwork partition between the hallway and Bedroom. Can you also confirm the that a 150mm bearing is ok for the Lintel to sit on? Thanks for your message, hopefully, the chaps in technical have come back to you by now. I have Window opening of 4.27 m under a concrete slab with a concrete beam. Brick work over lintel is .45 m. It is Cavity wall with 50mm cavity. Will it be safe to use 150×10 Angles under each leaf. I have asked our technical team to come back to you. I’m looking to build a grain dump pit where a loaded semi will drive over a 10′ long x 10′ wide pit. Can you give me some direction as to how much concrete and rear I need to span that length? I believe the technical team have come back to you. I have an opening of 4500mm in an external wall, this will be for some bi-fold doors on ground floor, inner and outer will be 100mm blocks with 100mm cavity. Hi David, thanks for your question. 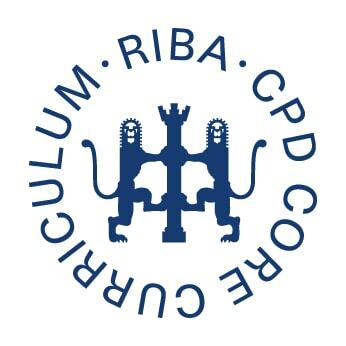 Can I refer you to our latest blog post which states the additional information we need to advise? Please look at Our post on common questions. I want to put a 1500mm window in a cavity wall. I want to use 2 concrete lintels on either skin. I realise I need an 1800 lintels but what depth should they be? It’s a bungalow, and the wall is a small gable end wall. The inner skin is 140mm thermal block, outside is 100mm brick. I have asked the technical team to come back to you. I am installing bi-fold doors in an existing exterior wall which is 100mm block inner, 50mm cavity and 100mm brick outer. The opening clear width is 3.6mm so need a 3.9 (4.0m lintel). Could you recommend the type of lintel i would need please. Thanks for your email. We often recommend an RS lintel for bi-fold doors because even the slightest deflection can have a negative effect on the bi-fold door operation. I have forwarded your query onto our technical team, who will be in touch though. Looking for adv pls. We r opening up a doorway to 1700. Its a 4inch (single) staggered load bearing wall. Am i correct in thinking a box lintel would be suitable, 2100mm allowing 200mm either side a few 4″ concrete bricks to help take the load. Hi there, thanks for your message, I have forwarded on to the technical team, who will be in touch. Im doing a fairly simple task, moving doorway in internal wall. Plan is to fully brick up original doorway, to regain total structural integrity of the wall, and then fit lintel in new position. It is an internal solid block wall – not supporting beams, and wall is continuous to roof (2 ground floor and first floor). I believe that I will need 150mm build in on either side of the 80cm door opening. I will get the technical team to come back to you. I want to knock through an internal cavity wall (was external until an extension put on 30 years ago) to a length of 1680mm. I know a need 2 concrete lintels 2100mm. I also know they need to be 100mm wide so they sit on top of each line of house bricks which are 100mm. What I cant work out is the height I need, the minimum being 65mm. There isn’t much weight above, only a sloping tiled roof that is much lower then the roof on the main house. Staggered brickwork sits above the lintel – 5 brick height on the left hand side, 13 on the right. Can you kindly advise? Hi Neil, thanks for the message. Our technical team will reply. I wish to make an opening between my kitchen and dining room. I believe it is a supporting wall; one single brick thickness. I understand that you need to leave a 6″ space to support the lintel either side. The opening is approximately 2700mm (including 6″ either side for support). Will I need to install a concrete or steel lintel? What size lintel will I require to support a load bearing wall? My terrace has a single brick wall of 4.5 metres between the lounge and dining room and I’m planning to Create an opening of 3.7m. I know I need to add 150mm to each side of the lintel. The lintel will loading the 1st floor and supporting wall of the terrace not sure about the roof loading? Can you tell me what type of lintel would be appropriate considering the span and load bearing. Firstly I want to make 3 no. 600 wide full height openings in an existing single skin (225) solid masonry wall that supports a timber floor above with a pitched roof above that. The windows would be 600mm apart. Would a 900 R15 concrete lintel above each opening be sufficient? Secondly the internal corner of the same wall needs to take 3 lintels on it. One for the purpose above, one for an existing lintel over an existing 1200mm wide door and one for an 1500mm wide internal opening. What is the minimum size that corner wall can be please? HI we would like to install new lintels above our windows as we are making them higher, the opening is 1200 and they are on the ground floor of a two stores house with a pitched roof. It is cavity wall but we would like to cut out the inside first due to current works then do the outer skin later on. can we use a single wall steel lintel? we cant fit Catnic. They are concrete lintels at present. Hello there, thanks for getting in touch. I have forwarded this onto our technical team who will be in touch. Thanks for your comment, we will come back to you shortly. Hi , I need to change 2 downstairs upvc window frames . I have been told these have been put in without lintels and you can see some cracking of the mortar . the window size is 1800mm x 1450mm could you tell me please what size angle lintel I would require . the house built 1969 cavity between inner and outer walls , any information much appreciated. Thanks – our technical team will be in touch soon. I have an opening of 3 metres in exterior single leaf block wall. My designer has two 150 x 100 angles supporting the brick above. I have an opening of 1650 and the current opening is support 2 joists…the new lintel i was proposing is 2.1 and would be carrying as 4/5 joists plus a stud wall.Would a 6×4 prestressed suffice please. Hi David, thanks for getting in touch. Our technical team will come back to you soon. I have a 4.5m ig cavity lintel sit in a 3.6kn blockwork 250*250mm pier, it needs padstones. Thanks for the comment. SWe supply padstones if you require them.